A bespoke tailored suit is made to measure for the owner. 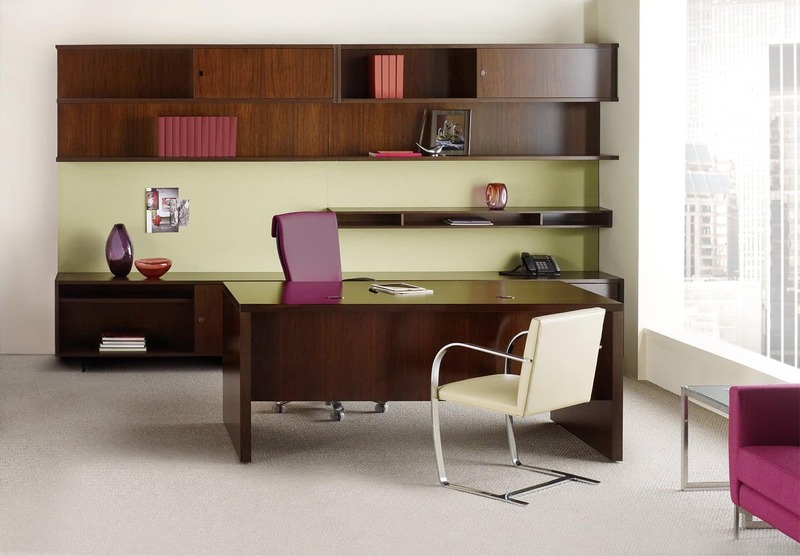 A private office designed with modular office furniture is constructed with the same idea in mind. 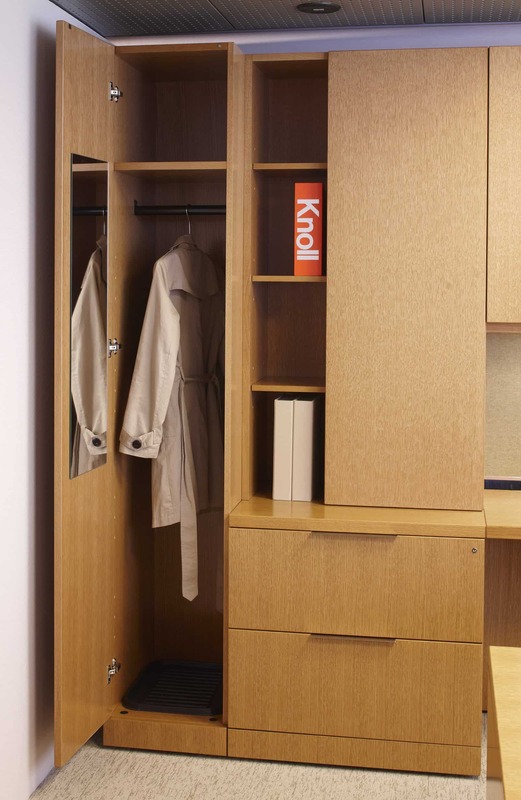 Knoll furniture allows private offices to have a custom look from classic to modern and from rich natural wood veneer to bright white laminate. 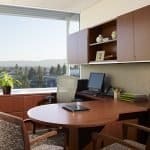 Systems Furniture’s interior design and account manager team makes sure that a private office makes the most efficient use of the office space and that it reflects the business owner’s vision. 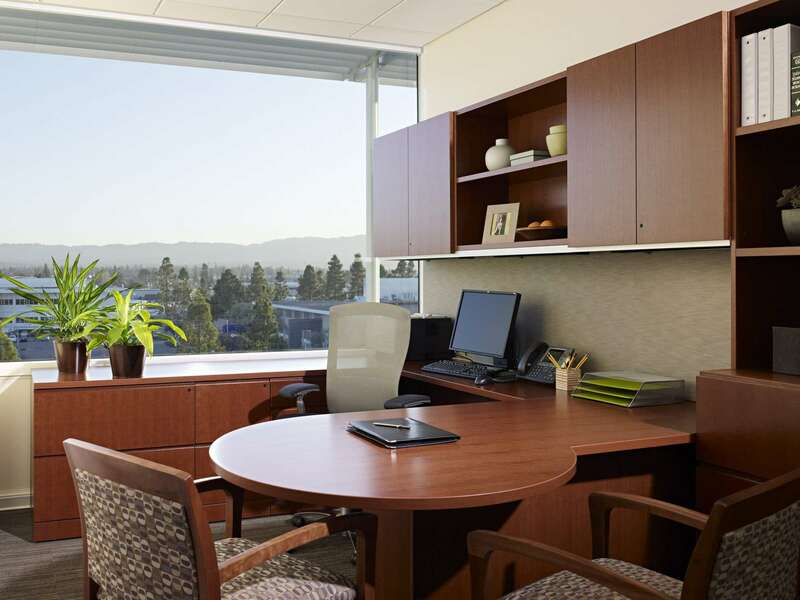 Desk – Pick your perspective. 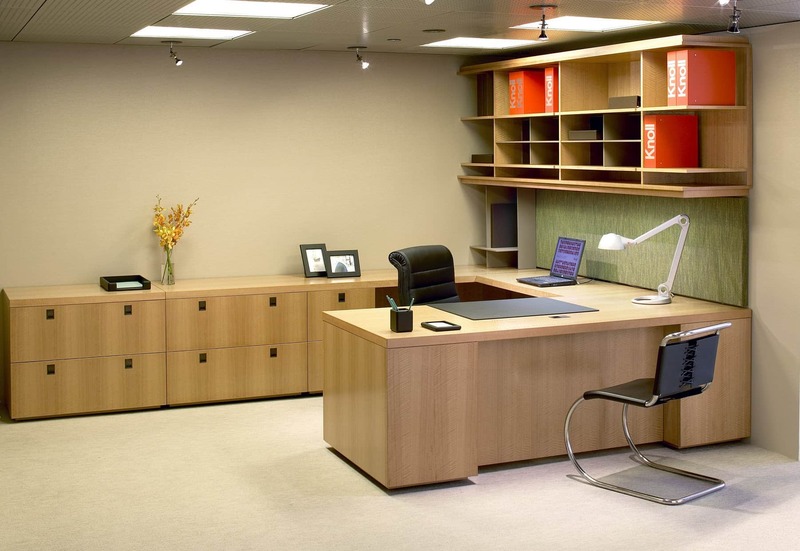 Choose a free-standing traditional desk or anchor it to a sidewall of storage for a more contemporary look. 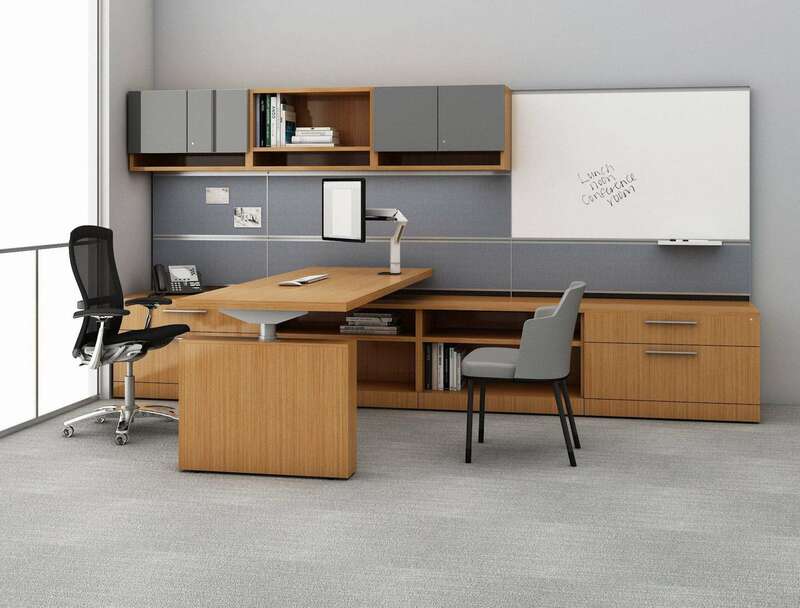 The newest feature is a height adjustable worksurface option which allows an executive to vary how he or she works from seated to standing height. 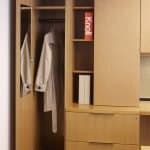 Storage – Modular office units with bookshelves, lateral files, tackboards and a coat closet put everything close at hand and come in a variety of heights. 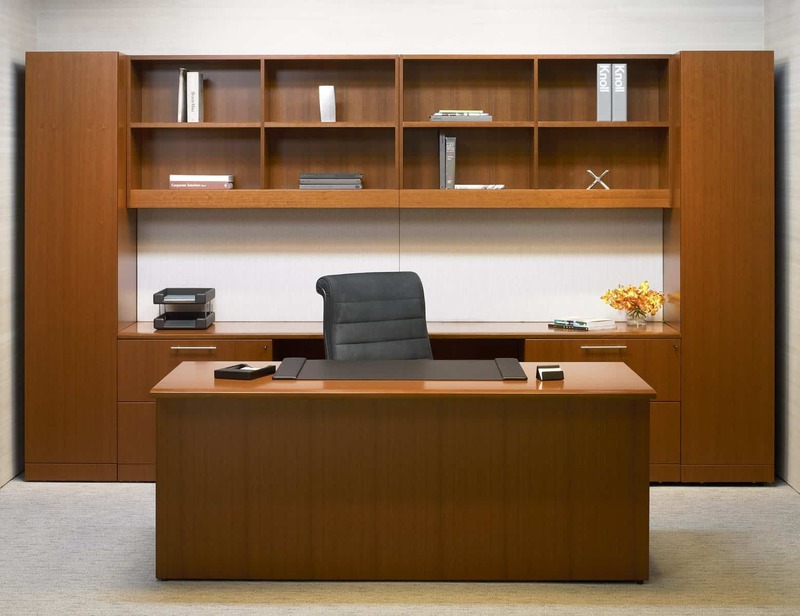 Executive seating – Systems Furniture has a wide range of executive chairs. The Knoll Life chair combines comfort and an elegant profile. You have a choice of fourteen colors for the back and seat including professional black and a zingy red. 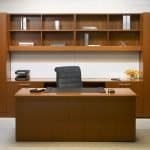 Guest Seating – Options abound when you work with Systems Furniture. 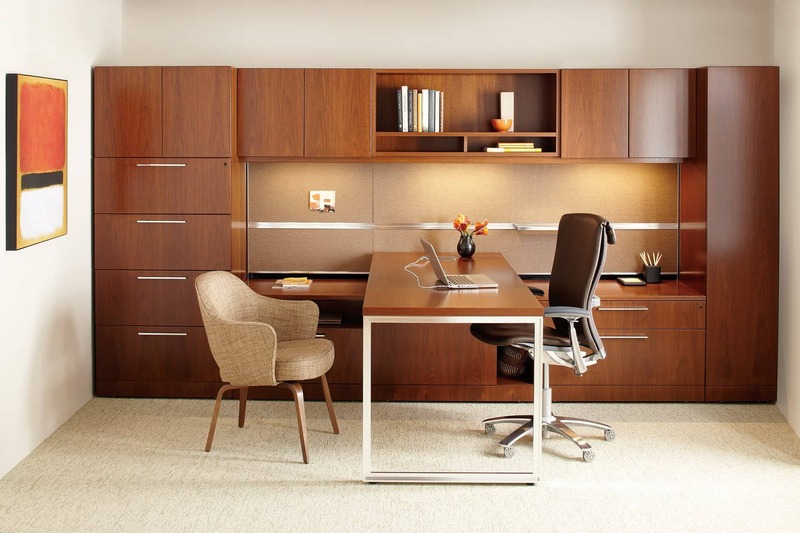 Two of our favorite guest chairs are the wood framed Brio and Aria chairs from manufacturer, OFS. Multiple options for upholstery and wood tone are available. 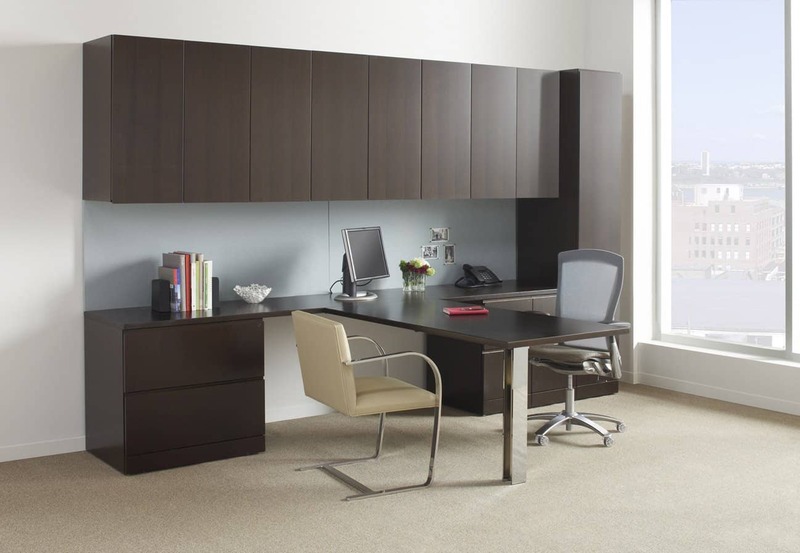 Accessories – Computer work in a private office requires monitor arms that are sturdy and adjustable. 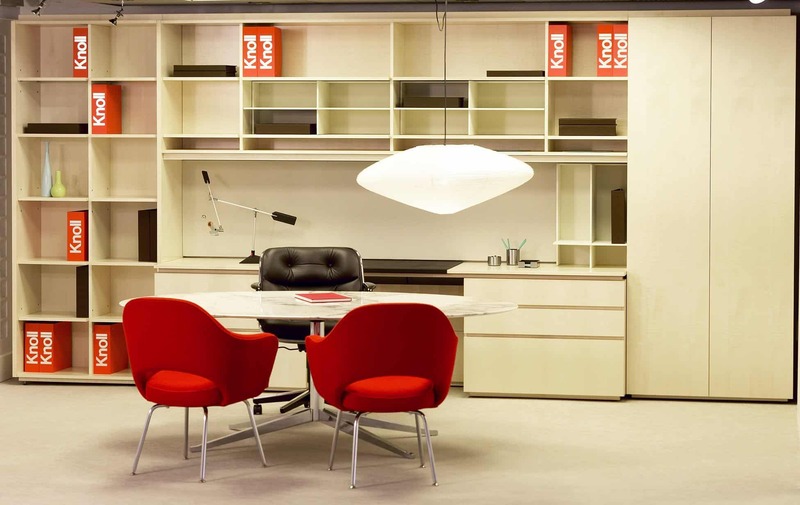 Knoll monitor arms are available for single, dual and multiple monitors. More Accessories – A task light eases eye strain. The Sparrow light has a hard-working halogen bulb and an adjustable arm that puts the illumination where you need it most. 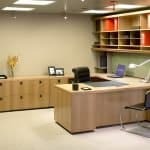 Systems Furniture has been providing business furniture and higher education furniture in the Fox Valley, the lakeshore, Oshkosh, Green Bay and central Wisconsin for over 30 years. 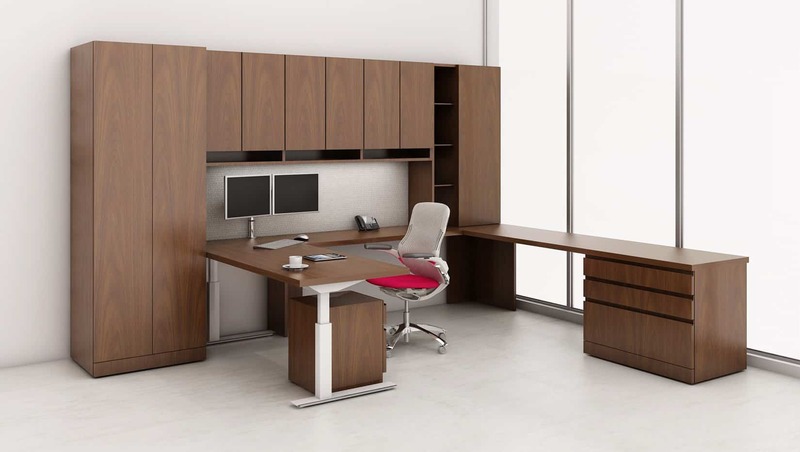 When we bring our modular office furniture expertise to work for you, the results will fit you to a “T”. 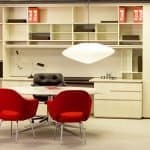 Our website, sysfurniture.com, shows you the wide range of our experience. Our team looks forward to answering your call at 920-336-1510. Next Next post: What creates a dynamic business meeting?